A group of major record labels including Sony, Universal, and Warner Bros, has filed a piracy liability lawsuit against Internet provider Cox Communications. In common with a previous case filed by BMG, they accuse the ISP of turning a blind eye to persistent pirates. With more than 10,000 copyrighted works listed, the potential damages exceed a billion dollars. For more than a decade, copyright holders have been sending takedown notices to ISPs to alert them that their subscribers are sharing copyrighted material. Under US law, providers must terminate the accounts of repeat infringers “in appropriate circumstances” and increasingly they are being held to this standard. 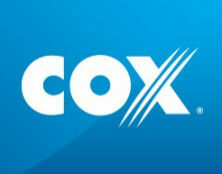 Cox Communications has been one of the prime targets thus far. A federal court previously ordered the ISP to pay $25 million in damages to music publisher BMG. While this was overturned on appeal, where a retrial was issued, it’s not in safe waters yet. This week Cox’s problems doubled after a group of high profile record labels filed a new piracy liability lawsuit against the Intenet provider. Sony Music Entertainment, EMI Music, Universal Music, Warner Bros Records, and several others accuse the company of turning a blind eye to pirating subscribers. The labels argue that Cox has knowingly contributed to the piracy activities of its subscribers and that it substantially profited from this activity. All at the expense of the record labels and other rightsholders. “Indeed, for years, Cox deliberately refused to take reasonable measures to curb its customers from using its Internet services to infringe on others’ copyrights — even once Cox became aware of particular customers engaging in specific, repeated acts of infringement,” the complaint reads. To stop the infringing activities, the music companies sent hundreds of thousands of notices to the Internet provider. This didn’t help much, they claim, noting that Cox actively limited the number of notices it processed. Cox has previously stressed that it implemented a “thirteen-strike policy” to deal with the issue. According to the labels, however, the BMG lawsuit has already shown that this was a sham. The labels stress that the ISP never permanently terminated any subscribers. Instead, it would apply a so-called “soft termination” where subscribers’ accounts were reinstated swiftly after they were disconnected. “The reason for this is simple: rather than stop its subscribers’ unlawful activity, Cox prioritized its own profits over its legal obligations. Cox’s profits increased dramatically as a result of the massive infringement that it facilitated, yet Cox publicly told copyright holders that it needed to reduce the number of staff it had dedicated to anti-piracy for budget reasons,” the complaint notes. Since the case revolves around repeat copyright infringers, the labels only sue over tracks and compositions that were infringed by subscribers who’ve been warned before. The complaint further notes that at least 20,000 Cox subscribers can be categorized as blatant repeat infringers, some of whom have been ‘warned’ more than 100 times. According to the record labels, it is clear that Cox intentionally ignored these repeated copyright infringements. As such, they believe that the ISP is liable for both contributory and vicarious copyright infringement. As compensation for the claimed losses, the companies demand statutory or actual damages, as well as coverage for their attorney fees and other costs. This could get quite expensive. The complaint lists well over 10,000 musical works, which means that the potential claim is immense. With a statutory maximum of $150,000 per work, the case could, in theory, cost Cox more than $1.5 billion. A copy of the complaint filed at the US District Court for the Eastern District of Virginia is available here (pdf). c There are 0 comments. Add yours? Which VPN Services Keep You Anonymous in 2019? What Are The Best Anonymous VPN Services?